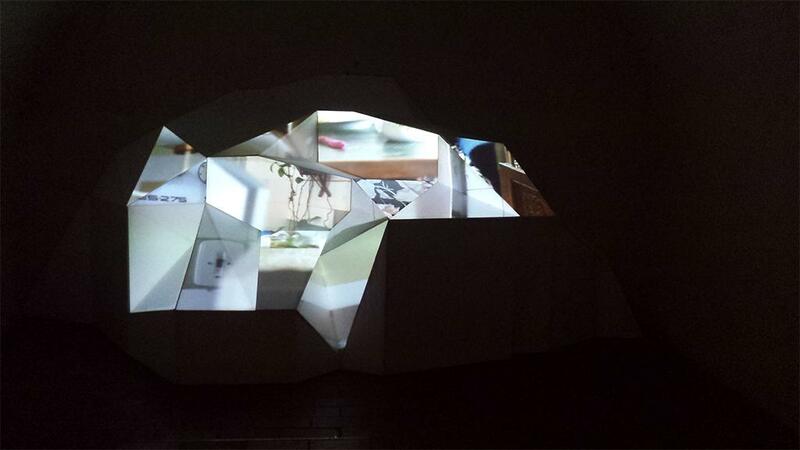 Breaking is interactive video installation. This version was created for Moscow Biennale of Young Art in 2014. Motion sensor captures movement of person in front of object and computer program adjusts video seemingly to observer's perspective. Videos are various linear movements in interior. 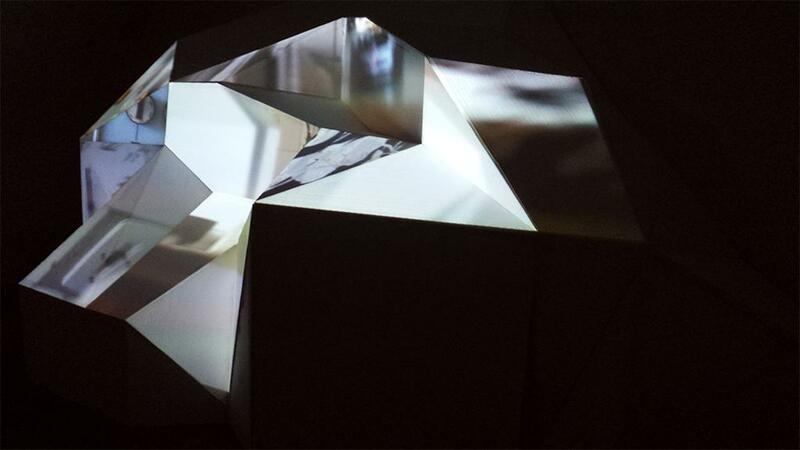 This is done by playing videos backward and forward in different framerates.Breaking is interactive video installation. This version was created for K4 Gallery in Prague in 2013. Motion sensor captures movement of person in front of object and computer program adjusts video seemingly to observer's perspective. 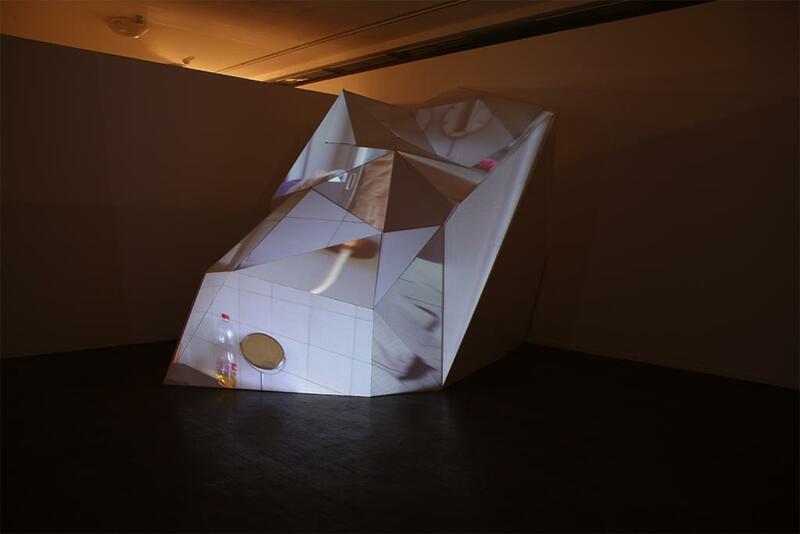 Videos are various linear movements in interior. This is done by playing videos backward and forward in different framerates. 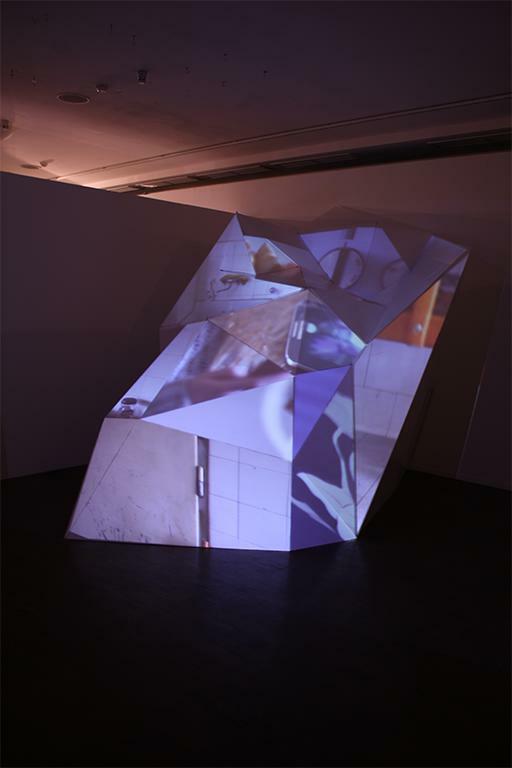 This interactive installation, consisting of fragmented video projected onto site specific sculpture, was made in cooperation with Lucie Kordacova. 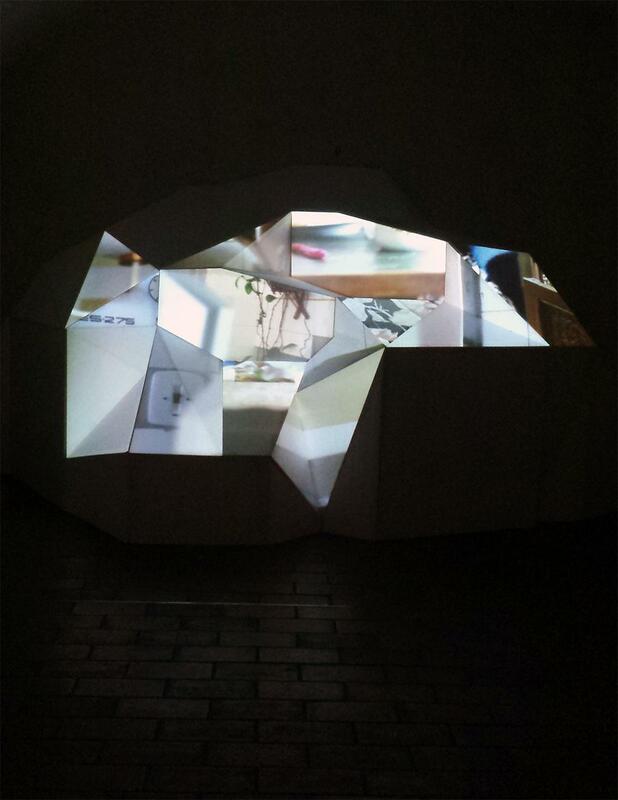 The object grows from the wall and its surface reminiscent the structures of crystals and minerals. 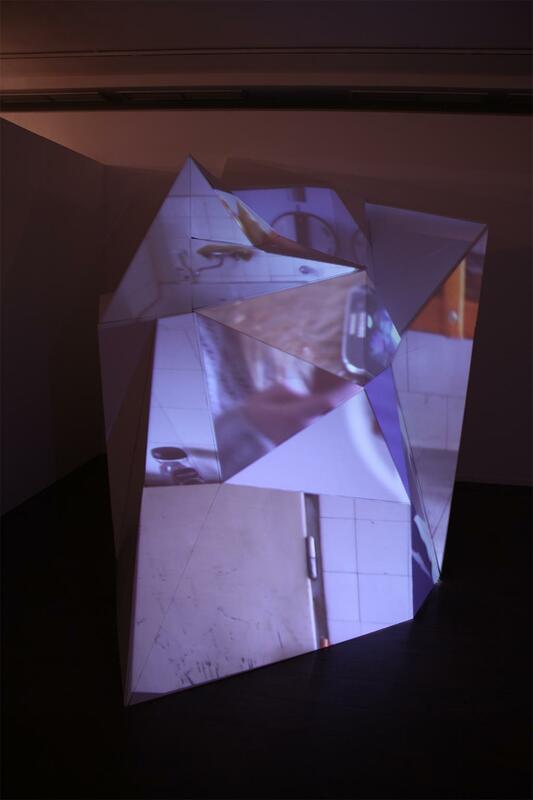 A different fragment of a video shot of a kitchen is projected onto each part of the surface. These videos are played forward or rewound relative to the position of the viewer, therefore the viewer can virtually move along the depicted space. This feature allows him to experience connection between time and space. 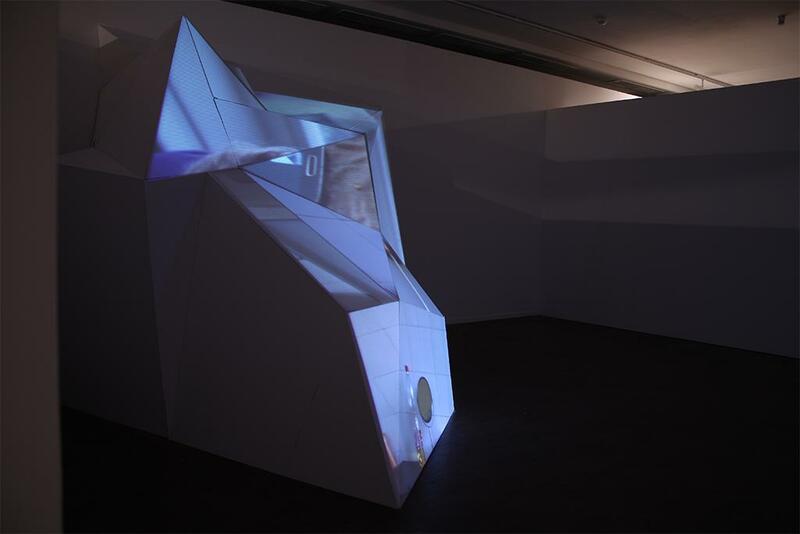 He can observe the object with projections from various angles and positions, he can virtually return back in time and space to observe particular detail, explore various nooks or find out what is happening further „behind boundaries“. 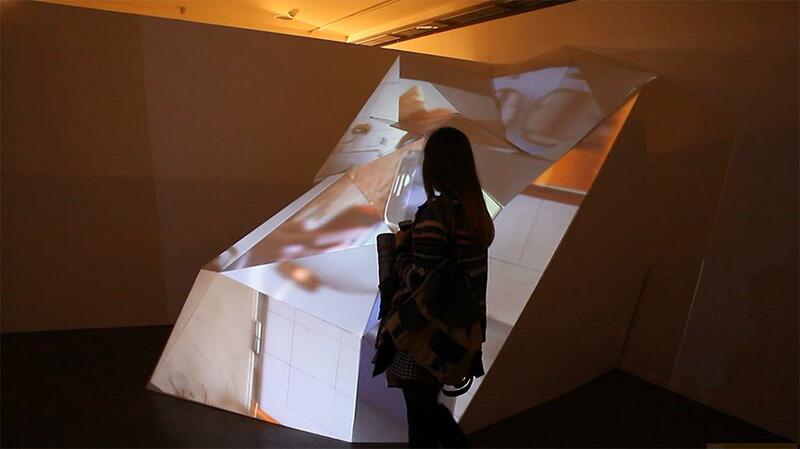 Breaking is interactive video installation. This version was created for K4 Gallery in Prague in 2013. Motion sensor captures movement of person in front of object and computer program adjusts video seemingly to observer's perspective. 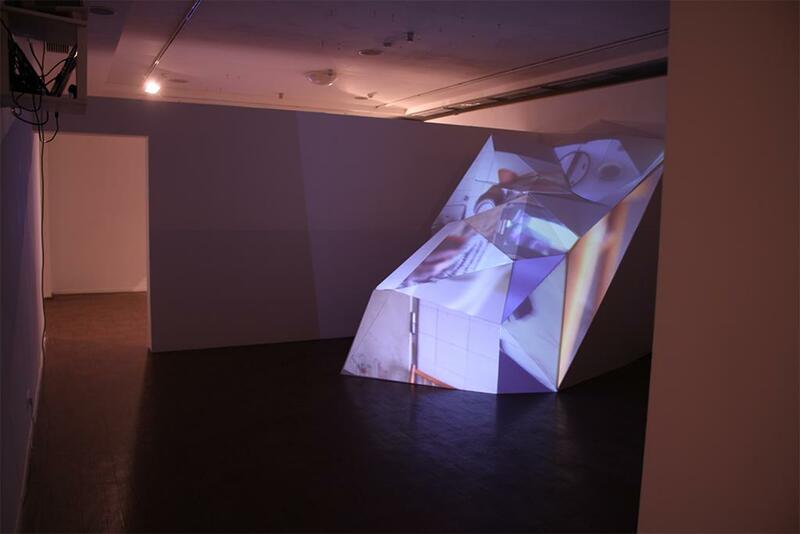 Videos are various linear movements in interior. This is done by playing videos backward and forward in different framerates.